This week Awesome Stories brings you better urban design, mindfulness in schools, Wendell Berry, the Love Kitchen and sustainable homes. This grand square in Paris received an enlightened design makeover. 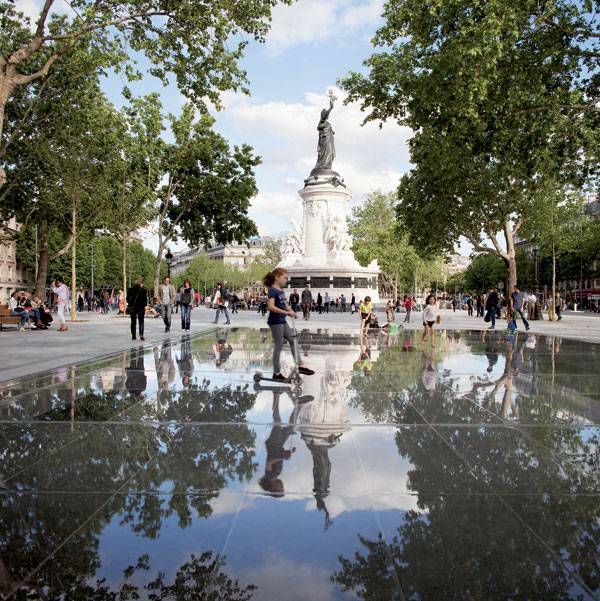 Despite being a very busy traffic area, the architects proposed turning the main focus for Place de la République square to pedestrians. Cities are realizing the many benefits to creating car-free urban areas. In their new design, TVK converted 2 hectares to public space for connecting with the statue of Marianne, a reflecting pool, rows of trees and a pavilion. Auto traffic was re-routed and this area is now for pedestrians and cyclists only. The minimalist design for the pavilion offers fluid integration with the square, outdoors and connections to transportation. Kudos to TVK and Paris. 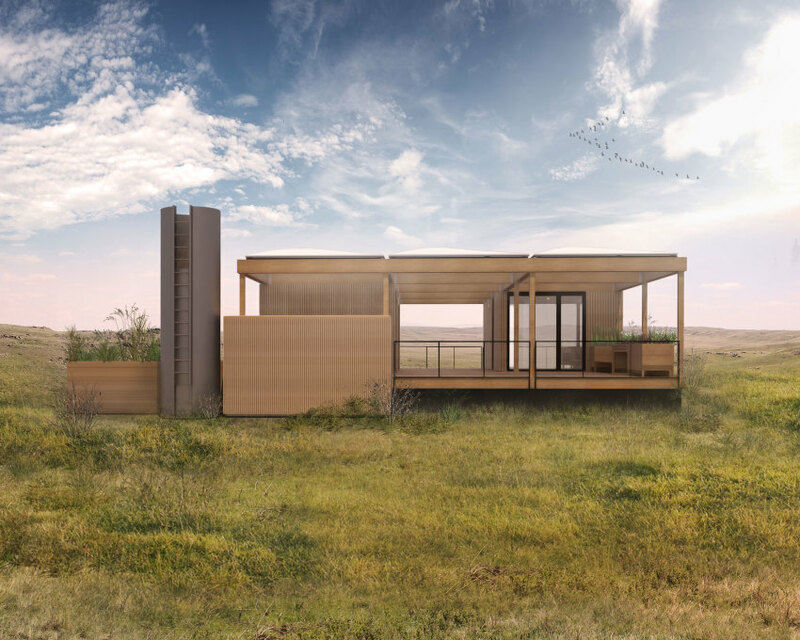 Students from UT Austin and Technische Universitat Munchen, Germany plan to create a very sustainable home as a demonstration of good design. Their home will run entirely off the grid powered by solar energy, passive design and water collection. I love the idea of a house that is so efficient it can run strictly on the sun and water collected on site! Their home has many modular features like a canvas canopies that collect water and create shade in summer and become open terraces in winter. Rooms can also be easily added or changed with modular wall features. Rainwater is collected, filtered and used for both inside and outside needs. The outside water will feed hydroponic gardens. I would love to see the home in person. I love the idea of teaching children mindfulness as a way to both learn and live better. Mindfulness studies show that teaching mindfulness in classes can improve concentration, reduce stress, increase awareness, embrace emotions and reduce conflict. That’s a lot of goodness from simply teaching mindfulness! I’d love to see mindfulness and life skills as standard curriculum for all children in schools. Meena Srinivasan has helped pioneer mindfulness in her Oakland classroom and contributed to a children’s book called Planting Seeds: Practicing Mindfulness with Children. To avoid conflict or association with religion, she teaches mindfulness from a science perspective, although her foundation is Buddhism. Twin sisters, Helen and Ellen, have been cooking up love for over 25 years. They make me feel lazy. Their Love Kitchen is only the latest in lives filled with loving service. They started as children of sharecroppers, moved to Knoxville for better opportunities, started a food stand, became nurses and only after retiring, finally started their dream to help feed the poor and indigent. From humble beginnings in a church basement, they have grown, faltered, and come out stronger. Today, the Love Kitchen serves about 2,200 meals every week, with three-quarters of them delivered to homebound recipients. Read the rest of their remarkable story in this article called Cooking with Love. LOL. The Goddess of Awesome! Great post, Brad. I particularly enjoyed the share about mindfulness in schools. It could do so much for the focus, concentration and emotional well being of our children. Oh my goodness, dear Brad, this one is just chocked full of delicious little stories and I loved everyone of them. When you start off with anything about Paris, you know you have me engaged in reading on. 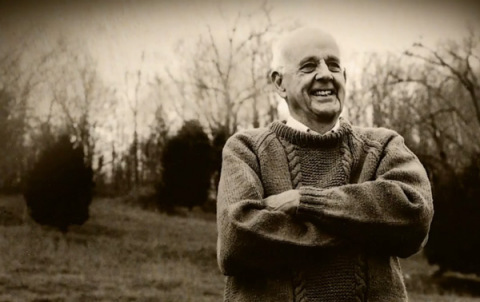 I loved the solar modules that are coming to Texas and the idea of including teaching skills about mindfulness in schools, and Wendell Berry is one of my favorite writers too. And the story about the ladies that cook for others was just the “icing on the cake,” as it were! Sounds like a grand slam of hit stories! XD You better be getting better so we can take a turn on the dance floor! 🙂 Thanks for the laughter and support. Many blessings to you and yours Natalie. Another great series of stories to begin the weekend with ~ I think this is a perfect way to start two days of “your time” versus work hours in getting inspired and to read/watch/listen to new ideas and people who think out of the box. It kind of opens the mind and it is a good feeling heading into the weekend with such thoughts as “everything is possible”. This time you have brought us such a diverse set…people with vision and drive. Cheers to a great weekend Brad. 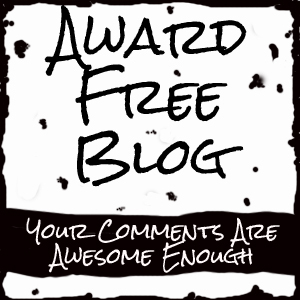 Let me know what comes of your visionary ponderings. Very good, a great reason. Will let you know of any great visions! Cheers ~ enjoy! This is a wonderful poem, Brad! Thanks for sharing. Thanks Camelia. It’s always nice to have you visit! I hope your life and teaching are going well. They are… except for the strikes, protests and this tensioned atmosphere… I hope you’re fine, too. Your stories fill my heart with beauty and passion. I try to hang on positive. Sorry about the job tensions. Me too on trying to hold with the positive and path of peace. 🙂 I’ve in the midst of selling my house, downsizing, packing and trying to find a new place to live. May we follow the path of peace.